Patricia is Senior Counsel with Westaway Law Group, where her practice focuses on litigation support, negotiations and advisory services. Patricia brings many years of experience in Aboriginal legal issues to her position with Westaway Law Group, having worked as counsel in the Aboriginal Affairs Portfolio of the Department of Justice on major Aboriginal litigation, and policy issues from 2000 through to 2012. Working collaboratively with other Justice counsel, Patricia contributed to the government’s position on major Aboriginal rights and title matters before appellate courts across the country and the Supreme Court of Canada. She worked closely with the government’s litigation teams on such high profile cases as R. v. Powley, R. v. Sappier; R. v. Gray, Tsilhqot’in v. B.C., and Lax Kw’alaams v. Canada. Patricia also provided high level strategic legal advice to the federal government on major Aboriginal files, particularly in the areas of s. 35 Aboriginal and Treaty rights, the Crown’s duty to consult and accommodate and the Honour of the Crown. After graduating from Queen’s Law School, Patricia articled as Clerk to the Chief Justice of the Federal Court of Appeal. Following the completion of her articles and her call to the Bar of the Province of Ontario, Patricia obtained a Masters of Law degree in comparative Aboriginal and human rights law (LL.M.) from the University of Auckland in New Zealand. 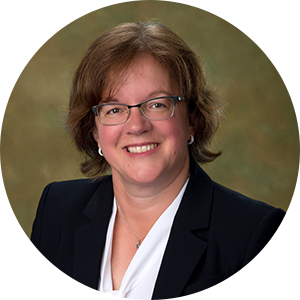 Most recently, Patricia worked as a Research Lawyer with the Ottawa law firm of Emond Harnden where she provided litigation support and advisory services to employer clients on a broad range of labour and employment issues.